Meanderings and Muses: There comes a time . . .
We spend a lifetime collecting, and then the time comes to start letting some things (but not all things) go. 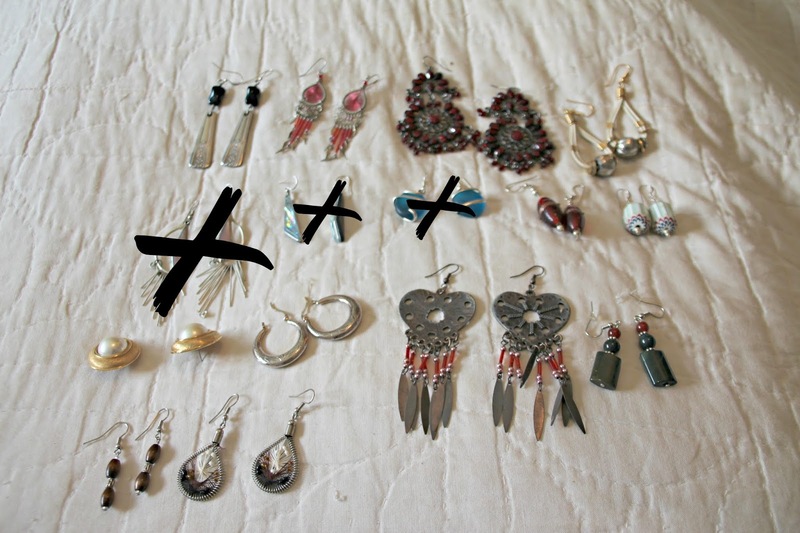 I decided it was time to go through my mom's jewelry. We gave quite a bit away shortly after losing her - - to family members and to close friends. And I think that would probably please her no end knowing that her "bling" was still getting out and about and having fun. While going through and choosing the pieces that I'm not ready to part with, I decided I may as well go through my own to see what I can set free. Being a retired person who's happiest at home, I'm not in need of a lot of jewelry. 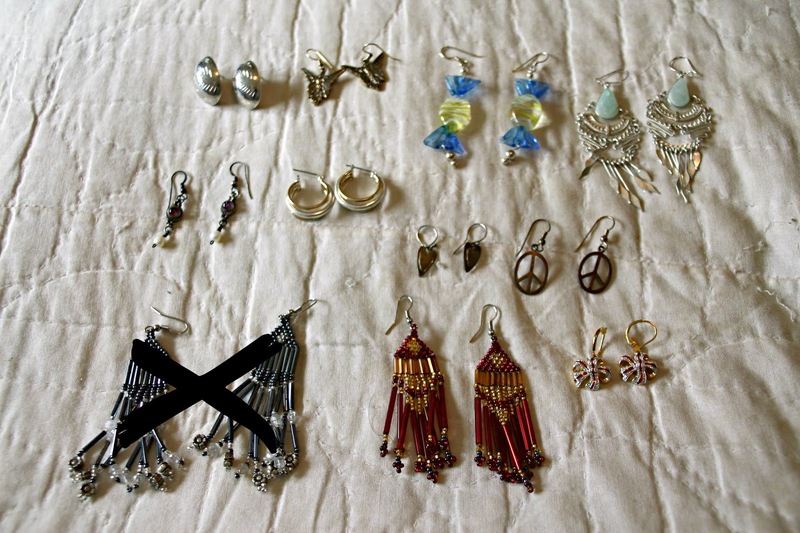 And a lot of jewelry is what I have here. Both Mother's and my own. We never saw anything sparkly that we didn't love. Just a couple of magpies - that's us. And now, well, there's only so many pieces I can wear with my jammies while reading that I feel comfortable in . . .
Time to part with some things. Costume - both high end and low. By just posting this one picture of rings yesterday at Facebook, I realized they can move pretty fast. I have a small stack of boxes set aside to go to the post office next week. 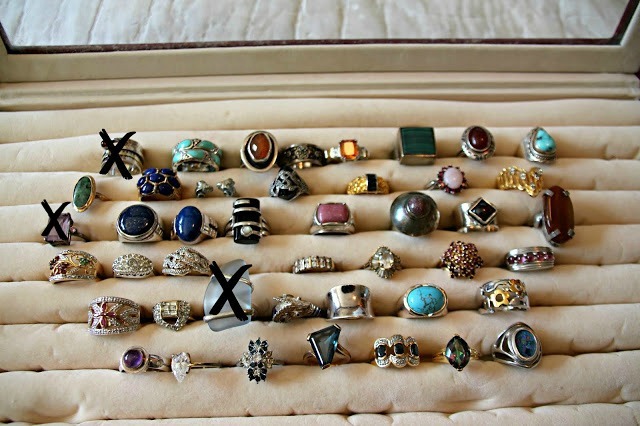 Rings for a starter - sizes 4 to 11. My mom and I never believed in that "ring finger" thing. If you've got a finger, it's suitable for a ring. 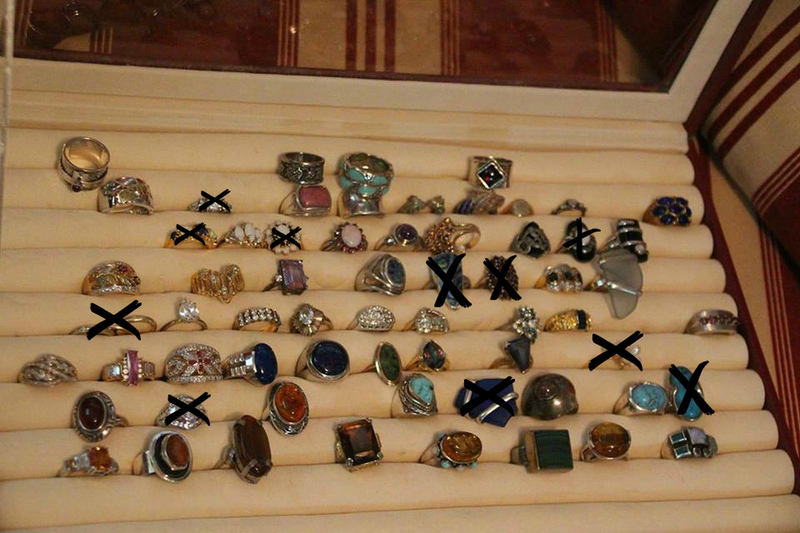 Ring Update - these are still for sale. Note: Nooooo those are not diamonds you see. CZs, crystals, white topaz, but no diamonds. Sorry . . . These on the wooden table are clip-ons or screw-ons. 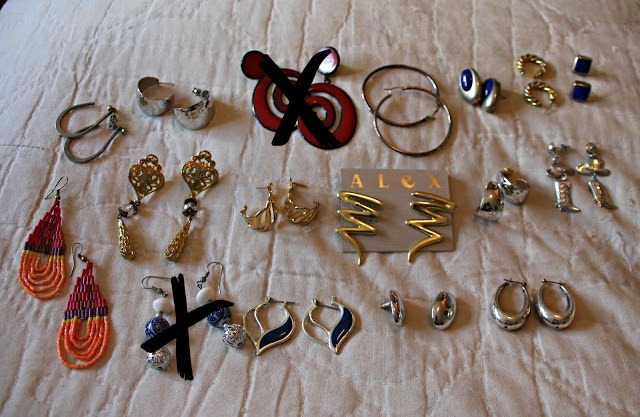 these are for pierced ears. There are several things shown here that are no longer available. I'm going to update the page, hopefully, today. So, check back . . .
And those of you who have bought things - Thank You!! Kaye--are the pretty bows (brooch and earrings) still available? 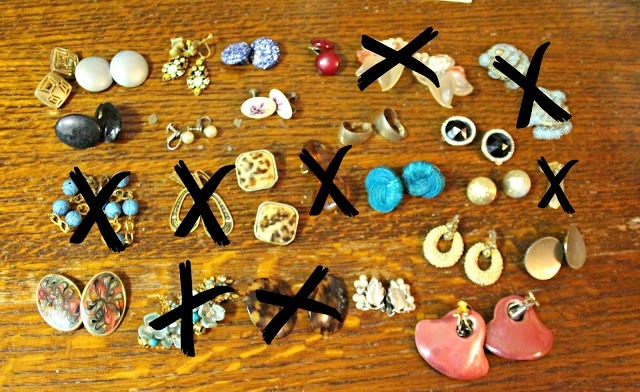 Necklaces, Pendants and Beads, oh my! Rings on our fingers . . . This Woman . . .